That Michelin chose to reimburse the reported 120,000-strong Indianapolis crowd in full, plus, in effect, 'fine' themselves the cost of 20,000 2006 tickets is a remarkable gesture, not least as it implies a degree of culpability - even if the French tyre company's press release specifically stated that it was under no legal obligation to do so. 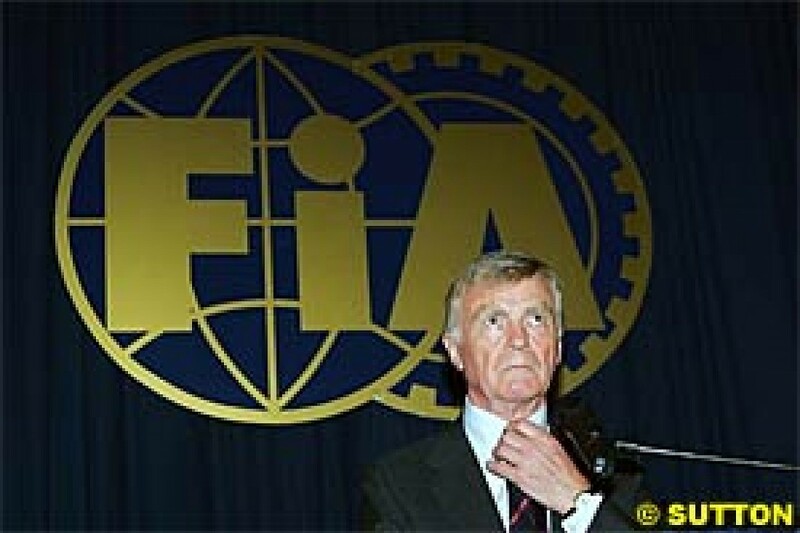 What makes the gesture even more extraordinary is that Michelin responded to FIA President Max Mosley's stated personal opinion that the company do just that, and did so despite some rather acidic missives - which suggested that Michelin's strategy was one of offensive (as in 'attack', not as in 'giving offence') defence. Possibly the hopes of some positive PR in what was a truly dreadful week for the company whose motorsport slogan is 'The Spirit Of The Race' and who, rather ironically as it turned out, entitled their US Grand Prix handout 'Prepared For Race Of Contrasts', held sway, but, even in its release it attacked the governing body, which, it well knew, could not retaliate officially as no formal agreement between the FIA and Michelin exists. "We can't impose a penalty on Michelin; we have no power over them," Mosley said after Wednesday's FIA hearing. And, herein lies a problem: what, after all, is iron-fisted power over the world's most expensive sport worth if it can all be undone most publicly by a few round black things? So, if there existed any doubts in the minds of FIA's rule makers that a single tyre supplier is vital to their running of Formula One, June 19th 2005 banished those to the deepest recesses of their minds. And, you may safely bet your bottom brass farthing that any single tyre deal will be subject to an airtight contract, containing penalty clauses galore, between the supplier and the FIA. Back, though, to the matter in hand: the FIA and Michelin. 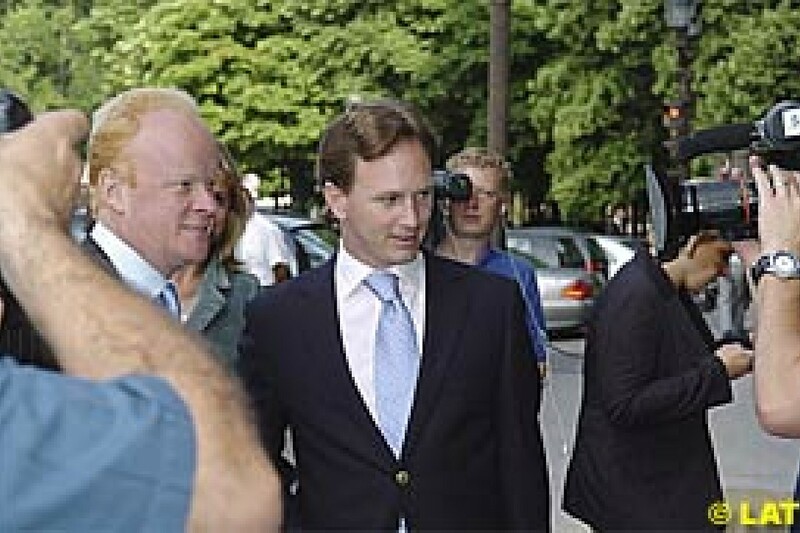 Mosley's statements and actions sufficiently riled the company for its chairman, Edouard Michelin, to write Mosley a letter - released to the media just hours before the refund gesture was made public - in which threats of legal action on the basis of damaging statements allegedly made by the FIA president, and his questioning of Michelin's safety record in Formula One, are implied. Certainly, Michelin's legal fighting fund is larger than that of the FIA, but whether such court battles would do Bibendum much good, whether they may win the legal battle whilst losing the image war are questions his marketing people are best placed to answer. Any such court battle would, though, hardly be restricted to questions of safety, but would involve the integrity of the Michelin name/family too, for, as Mr Michelin made known at the time of the post-Hungary Tyregate affair in September 2003, any suggestions that Michelin (company) had been cheating implied that the Michelin family, whose name appears in bright two-tone on the sidewalls of every Formula One tyre, too, had been cheating. Family honour is extremely important to this Clermont-Ferrand based clan. The company has, though, a French culture, and what the release means is not, patently, what it implies in motor racing's first language, which happens to be Mosley's mother tongue, too. Yes, means Michelin, our tyres were not sufficiently robust for the demands of Turn 13, but, no, there was no manufacturing or intrinsic fault with their construction, we simply screwed up on our calculations. Mosley's anomaly is rather more difficult to fathom. In a self-scribed Q&A put out by the FIA, Mosley is specifically asked whether he ordered Michelin to produce details of all recent tyre failures, as had been reported the previous day. No, he replied, 'we cannot order Michelin to do anything. We have no contractual relationship with them'. Yet in bilateral correspondence released by the FIA immediately before Wednesday's hearing it is clear that Mosley most certainly asked the company to do just that. With 'order' and 'request' being split by no more than politeness in these matters, the order was certainly implied in writing. As inexplicable as theses statements are, the question remains as to exactly why Mosley suggested compensation of any sort in the first place - for Michelin, not having made contractual commitments to Indianapolis Motor Speedway or to fans present on race day or millions of television viewers, was not in any legal firing line, and remains so. Yes, lack of suitable tyres greatly humiliated the company; yes, lack of suitable tyre greatly humiliated their contracted teams; yes, lack of suitable tyres, compounded by some rather questionable directives on the day, led to downright farce. But none of the above makes the tyre company culpable, just as supplying lubricants which fail to keep engines running on all three days could hardly make the affected oil company responsible. The hallowed, if self-styled 'Home Of Motor Racing', though, could face legal proceedings for failing to deliver the promised show, as too could Formula One Management, as could, possibly, the FIA, but, Michelin? What did they promise any fan? Worse, IMS boss Tony George was at the time known to be heading for a meeting with Ecclestone, and, although he eventually left feeling 'helpless', no wise man - and what is Mosley if not exactly that - underestimates the financial and legal power of the Hulman George family. For sure George was examining his options and could very possibly have opened yet another Pandora's Box for the FIA and Ecclestone. And why was Mosley expressing 'a personal opinion', and not the official FIA line? An explanation could be found in the agreement struck back in 2000 between the EU and the FIA, which precluded any commercial involvement in Formula One by the sport's governing body, and what are compensation packages other than 'commercial involvement'? Which makes Mosley's reported statement after the guilty-on-two-charges-out-of-five verdict, wherein punishment was delayed until September 14, rather confusing. "We could impose fines and use that money to compensate," Mosley stated. "We said if you sort it out we will take a lenient view, if you don't sort it out we will not take a lenient view." Pray, tell, what is using fines to pay compensation to US fans and promoters if not a commercial decision? What is, though, unclear in all this is why similar compensation strategies were not followed when last outrageous behaviour caused massive outcries by fans and media alike, namely the unfolding of events in Austria and Indianapolis 2002. There, similar 'acts prejudicial to a competition' were committed (by Ferrari), yet no compensation package was as much as muttered by a soul in the FIA - simply as no legal threats, by fans or the promoters, were on the horizon. Cynics, of course, will argue, that Ferrari's sole roles in the scandals, and their alleged cosy relationship with certain powers-that-be, ensured that no words of compensation were even breathed despite those fans, too, having received rather raw deals for, in the case of Austria, even more money. The outcries in Austria by far surpassed the decibels heard at Indianapolis a fortnight ago. Why were fines levied after the A1-Ring race not paid over to the race's promoters for distribution to fans? In the final analysis, enforcing supplier compensation packages, by fair means or foul, sets a dangerous precedent, and, arguably, could turn all future non-starts or retirements into grounds for litigation. After all, when in the eyes of Americans would it be acceptable for a Ferrari fan paying $150 for a Penthouse A ticket to have sight of his beloved car for but one lap before it heads for the pits with a broken gearbox; would a driver fan club be entitled to a two-thirds refund from ABC Bright Sparks plc if said driver retired after 15 laps with electronic failure? Sure, these are extremes, but laws are administered through precedents, not the extent of the breach. Particularly in the United States. That Red Bull Racing is the only of the Michelin Seven teams to be marching out of step is no surprise in these parts: last week, this column suggested that the team - which will enjoy a close technical relationship with Ferrari as from next year and is rumoured to have already signed a deal with Bridgestone - held the key to future cohesion of the teams, and, crucially, any punishments to be meted out. So, when the Michelin Seven became Six through the loss of a signature, thoughts turned not to their present predicament, said by Sporting Director Christian Horner to result from a desire to 'not make hasty decisions', but to their future within the breakaway series that is surer than ever to result if any penalties imposed by the World Motorsport Council on September 14th border anywhere near the 'harsh'. Equally, having defected from the ranks of the Seven, how much longer before the team strikes up an accord with Bridgestone for this year? Michelin's self-confessed failure to supply the team with safe tyres in Indianapolis could arguably lead the team to cite breach of contract, allowing them to switch suppliers in mid-season without penalties. Such a move would obviously provide critical technical co-operation with a company many believe will end up as sole tyre supplier sooner rather than later - all rather conveniently just as RBR is finalising their 2006 design. McLaren, BAR and Sauber have told of the technical difficulties of adapting to the technology of their new tyre partners - whilst Minardi discovered the same after going from Michelin to Bridgestone in 2001 - so a strong case could be made for switching sooner rather than later, particularly if Ferrari make available their Fiorano and Mugello test tracks as incentive/token of appreciation. Which leads on to the next factor: having clearly broken ranks with the Michelin Seven, how much longer before RBR breaks ranks with G9 + 5? Such a move would enable them to wriggle out of the 30-day test cap just as their quota is depleted, whilst greatly assisting Bridgestone/Ferrari in their development quests. What future for the Grand Prix Drivers' Association after 19 members, including two Bridgestone runners, signed an explanatory document outlining their safety fears at Indianapolis, whilst Michael Schumacher, President and brother of the only driver injured in the build-up to the fiasco., did not? So, too, did Rubens Barrichello and the Jordan drivers, who finished third and fourth behind the German and Brazilian, fail to sign the document. Q. Michael, as chairman of the GPDA, could you tell me where the organization stands on this matter and where its responsibilities start and stop in terms of this sort of dangerous situation? Schumacher: We're sort of more looking into circuit safety. This kind of situation, put it this way, there are certain drivers that don't have the power to take decisions, so there is no point in forcing somebody or trying something. It's not the region we would consider to talk about. We have regions where it concerns all of us where we quite clearly don't have any competition influence when we can get active and when we do get active. When the GPDA was formed in 1961 it existed to take a unites stand on circuit safety; by the seventies it had moved on to embrace all safety-orientated matters, and in 1982 it organised the infamous Kyalami drivers' strike over competition licence conditions. Had its current leader steered clear of inter-team politics in Indianapolis and instead recognised that a potentially dangerous situation was being presented to his peers, the outcome of the Grand Prix (and all subsequent activities) could have been rather different. Possibly the 19 may wish to consider a vote of no confidence in their GPDA leader?